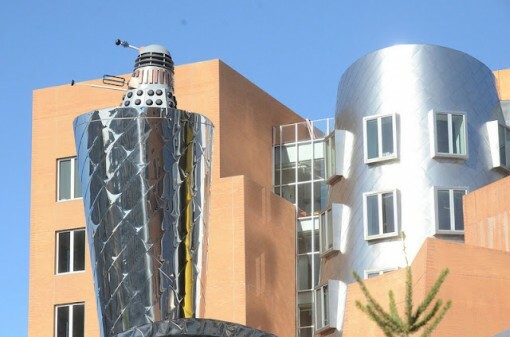 The Daleks Have Landed…At MIT! Studying at MIT used to be this little girl’s dream. A dream it has remained, but who knows if it might just turn into reality at some point? In any case, this recent “invasion” of the renowned American educational institution has reawakened that dream. For sure, all those Whovians out there will want to flock to MIT as well, for the Daleks have landed. You don’t believe me? Take a look at that photo again. 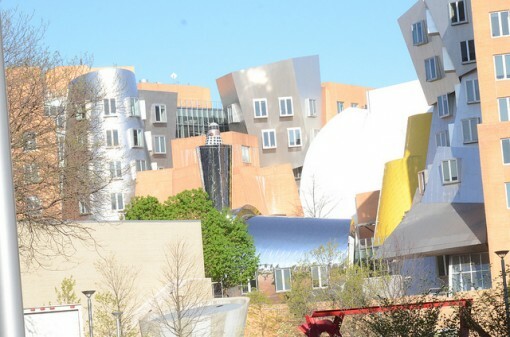 That was taken by Chris Devers, a Flickr user, at the Stata Center in MIT. Yeah, he is a real person, and he did not merely Photoshop that familiar figure into the picture. Who is responsible for this awesome attack? 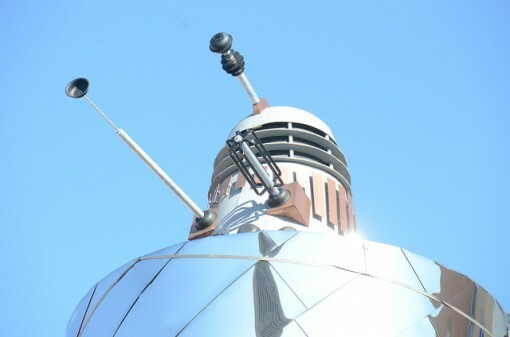 No names have been pinpointed, except for Chris saying “hackers” have placed the Dalek on the roof of the Computer Science and Artificial Intelligence Laboratory. How apt! Here are a couple more photos to prove that the Daleks have indeed landed. Apparently, this is not the first time that elements from Doctor Who have paid MIT a visit. In August of 2010, no less than the TARDIS was spotted in the campus. Its visit to the school was excellent timing – at the start of the Rush/Freshman Orientation. Can you imagine being a freshman at that time? Lucky students! For more photos, check out Chris Devers’ Flickr stream.